Our communications centre, the radio room serves the City of Vancouver Emergency Operations Center. Seven workstations are permanently outfitted with a mixture of commercial and amateur radio equipment for voice and data operation on 2M, 1.25M and 70cm amateur radio bands as well as HF voice and PACTOR data, and select commercial frequencies per the EOC’s licensing. 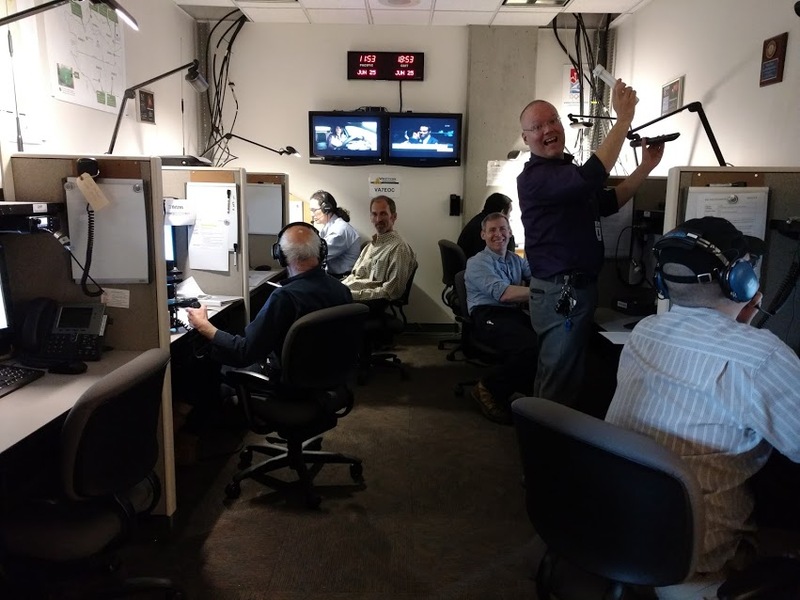 The BCWARN microwave network provides Wide Area Networking capabilities across Metro Vancouver and extending to Vancouver Island as well as backup Internet connectivity. A permanent HF station is supported by a 80M/60M dipole and a 5 band Force 12 beam antenna atop a 60 foot tower. If called upon to activate additional HF stations, preconfigured “stacks” complete with power supplies and tuners can be deployed in minutes. The Community Emergency Response Vehicle (CERV) is a mobile communications centre that largely duplicates the EOC communication centre's capabilities. 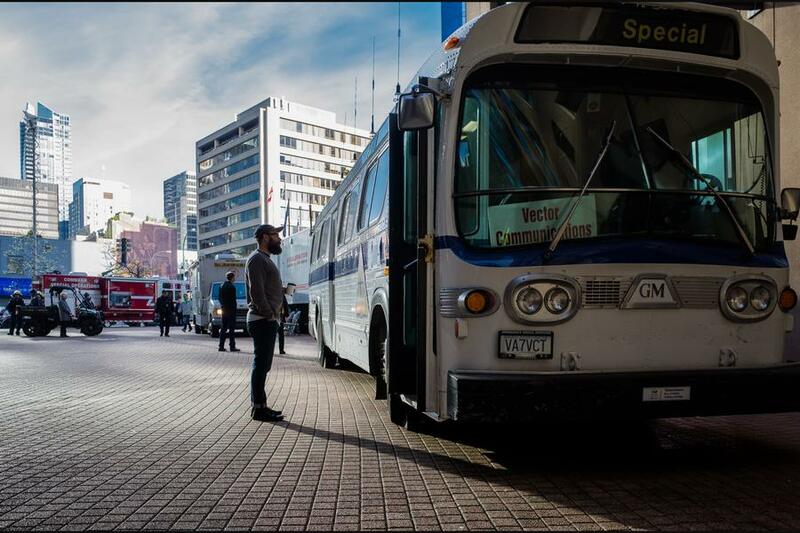 Constructed out of a former Coast Mountain transit bus, the CERV came to life thanks to countless hours of love and attention to detail by a dedicated team of VECTOR members. The CERV features five permanent workstations, a full range of VHF, UHf and HF voice and data equipment, server racks, independent battery power, APRS tracking, a conference area and of course a kitchen and head.